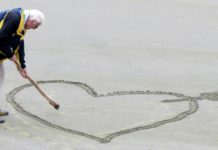 Having the freedom and confidence to use the toilet independently is important for the aging population. We will discuss the benefits of toilet safety rails and frames and some of the best rails and frames to consider installing in your bathroom or of your elderly loved ones. What Are Toilet Safety Rails and Frames? 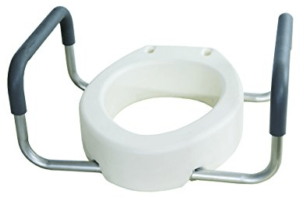 Toilet safety frames and rails are designed to be easily installed on a toilet and often eliminates the need to remodel the bathroom (such as adding grab bars to the walls). 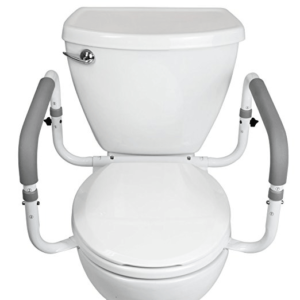 The purpose of frames and rails is to assist an individual with getting on and off the toilet safely and confidently. Frames and rails come in a variety of designs; some fit with the existing toilet seat while others come with a toilet seat. Most safety frames and rails are lightweight, durable, adjustable, and easy to clean. Some are designed to be portable, which makes it easy for traveling or for temporary use. Toilet safety frames and rails are a nice alternative to toilet assist bars because they have non-slip legs that stay firmly grounded to the floor and offer a little more stability. 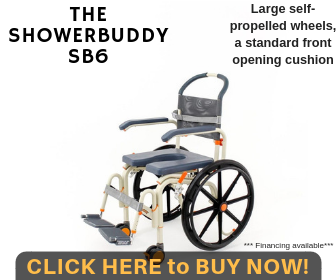 A frame or rail is best suited for anyone who has limited mobility or needs assistance using the toilet due to an illness, recent surgery, health condition, or age-related issues. Installing a frame or rail can help someone regain and maintain some independence while using the bathroom. Remove the toilet lid, seat, and any hardware from the bowl of the toilet. This is also an excellent time to give the toilet bowl a thorough cleaning. With the product installation directions in hand, make sure you have all the pieces before the install. Lining up the holes on the mounting bracket with the holes in the toilet bowl, place the lid and seat on the bracket. Attach and tighten. For the arm support on the toilet rail, insert the arm support piece into the mounting bracket (see enclosed directions for specific installation tips). Adjust the legs to a comfortable height that makes the safety rails easy to use and make sure it’s level. Make sure the device is secure and before using. 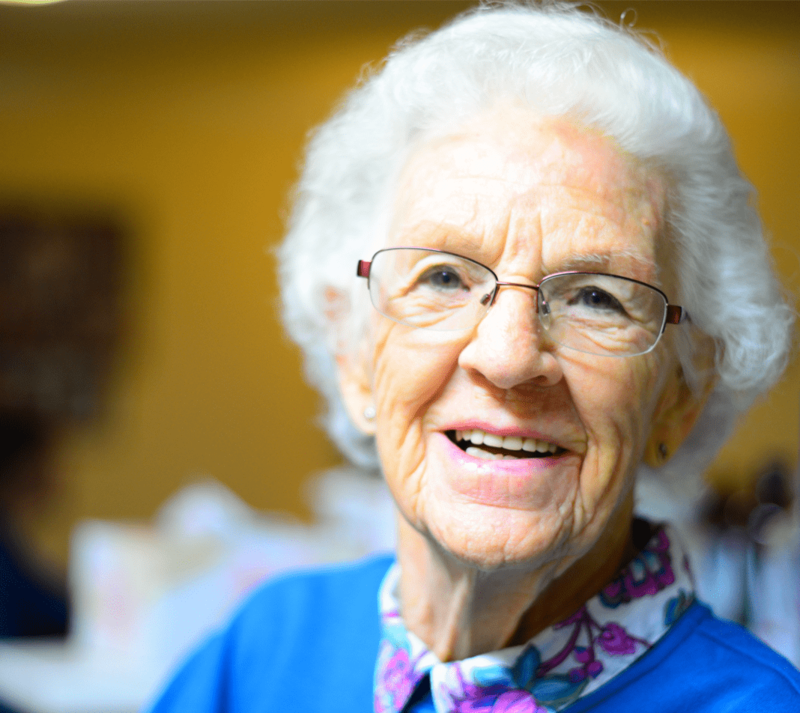 Whether you have limited mobility due to your age, are recovering from major surgery, or want to reduce your risk of falling while in the bathroom, here are some safety tips to consider when using the toilet. There are many toilet safety rails and grab bars on the market but how do you know which one is best for you? We did our research and tested out some toilet safety rails and grab bars for the toilet; check out our top picks. The Carex Health Brands toilet safety rail is one of our top choices because it’s a stand-alone and there’s no need to install it to the toilet. The safety rail weighs less than ten pounds and is easy to move to various parts of the bathroom such as in front of the sink or near the shower. 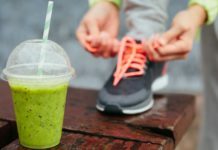 It can also support user weight up to 300 pounds. The toilet safety frame by Vive is another top pick due to its simple yet sturdy design. The rail is installed on the toilet, so there’s no need for legs and other parts to get in the way while using the toilet. 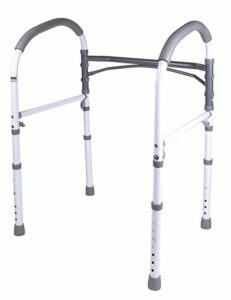 The side rails are padded, adjustable, easy to grab, and can support up to 300 pounds of user weight. The Moen flip-up grab bar is an excellent option for anyone who has a small bathroom, is relatively independent when using the toilet, or has visitors with mobility issues. The grab bar is easy to install on the wall, near the toilet, and can be flipped up and out of the way when not in use. While the design is simple, the stainless-steel construction is durable and can support up to 300 pounds. Similar to the Vive safety rail, the Essential Medical Supply Elevated Toilet Seat is easy to install and has a simple yet sturdy design. This type of safety rail is particularly beneficial for individuals who have difficulty lifting themselves off of the toilet or have a low toilet bowl. We spent time carefully selecting different types of toilet safety rails and grab bars; most users are satisfied with our choices. Many users of the stand-alone rails like the versatility, ease of use, and the no need for installation. Users of the grab bars like knowing that the support is there if they need it and feel like they have been able to regain some of their confidence and independence in the bathroom. A majority of users of all of the toilet safety items we reviewed like the ease of installation, the high weight capacity, the lightweight design, and that they are easy to keep clean.